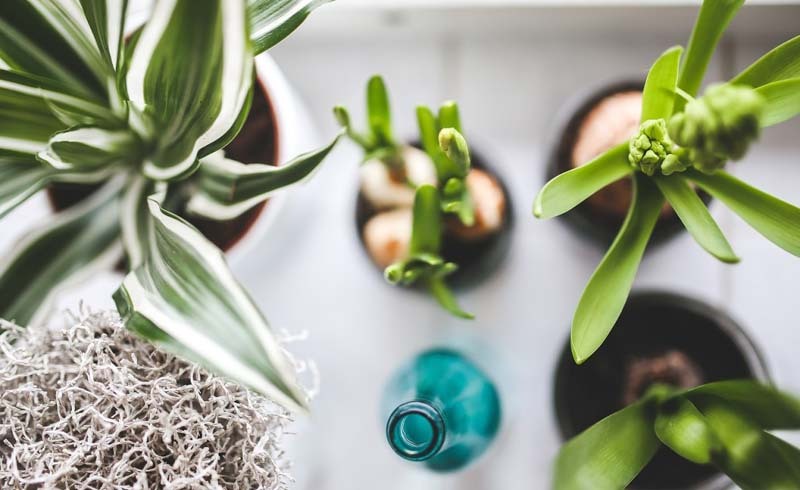 We all deserve that bit of naturally filtered oxygen only a houseplant can give, but growing greenery comes more easily to some than others. 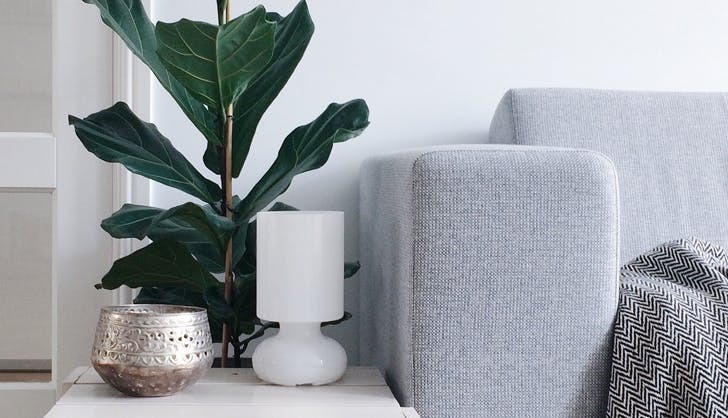 If you have major crazy-plant-lady goals but don’t have the green thumb to back it up, here’s a guide for what to expect when you’re expecting (a new philodendron, that is). 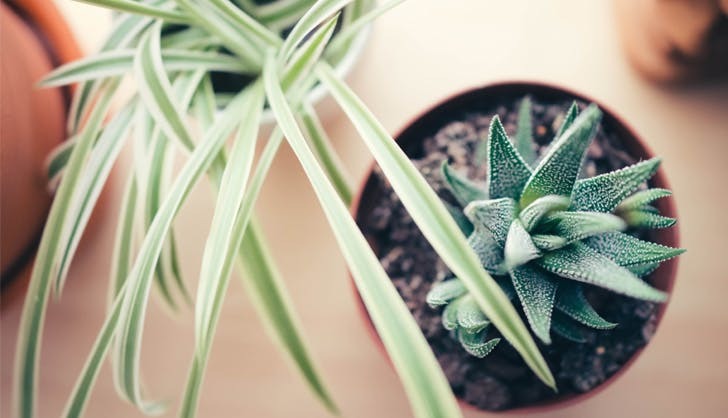 Don’t worry about the houseplant itself until you spend some time thinking about your space. Assess your natural light situation, available surfaces, and those surfaces’ proximity to heating vents, fireplaces and air conditioners. Plants are finicky, people, and they can’t just ask you to pass the throw blanket if they’re chilly. This is the part where you do your research. 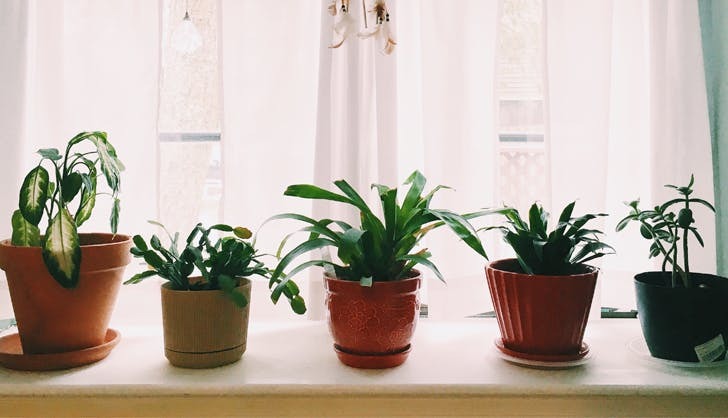 Now that you’ve got a good sense of the kind of environment the plant will actually be living in, you can move forward with choosing one that will thrive in your space. Cast-iron plants are nice and leafy, and a great starter since they need moist soil (so it’s hard to over water them) and low light (so you can stick them in a corner). 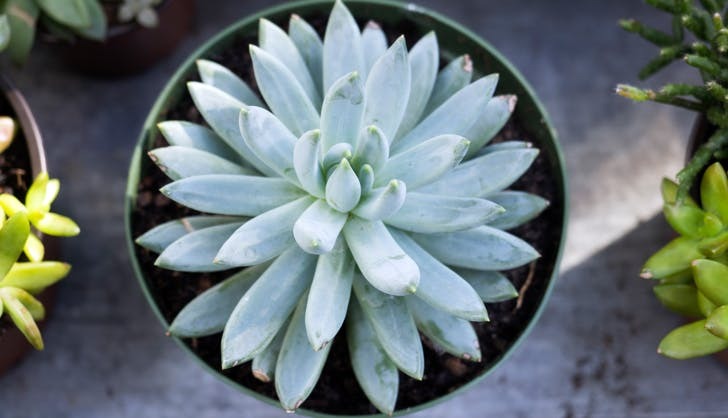 Succulents are a good choice if you have a bright room and a dim chance of actually remembering to give them H2O. Hooray! You’re at the local greenhouse, ready to pull the trigger on your caladium. But don’t simply grab the one in the cutest pot. Look for lushness – if the plant maintains an even coloring and is compact and sturdy, it’s ripe for the picking. If it’s leggy, has signs of being pruned or has yellowing or brown leaves, take a pass. She’s so cute. Now introduce her to her new home by sticking her in her spot without repotting and leaving her there to get acquainted. (Moving plants too much is good way to reach an early death.) Dedicate yourself to a strict watering schedule, do some light spritzing in between and watch her flourish. You officially have the OK to repot your plant now. You should also learn your plant’s stress signs and check on them to make sure things are going smoothly. 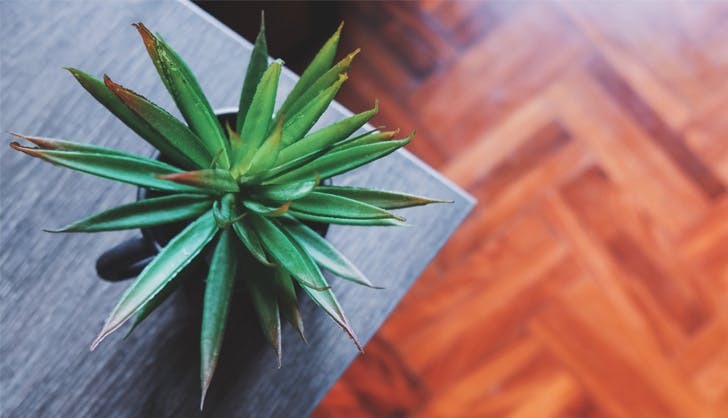 Succulents start to turn colors if they’re too hot, for example, so while that unexpected shade of orange might look amazing against your reclaimed wood coffee table, it’s probably a sign you need to move it to a slightly cooler area. 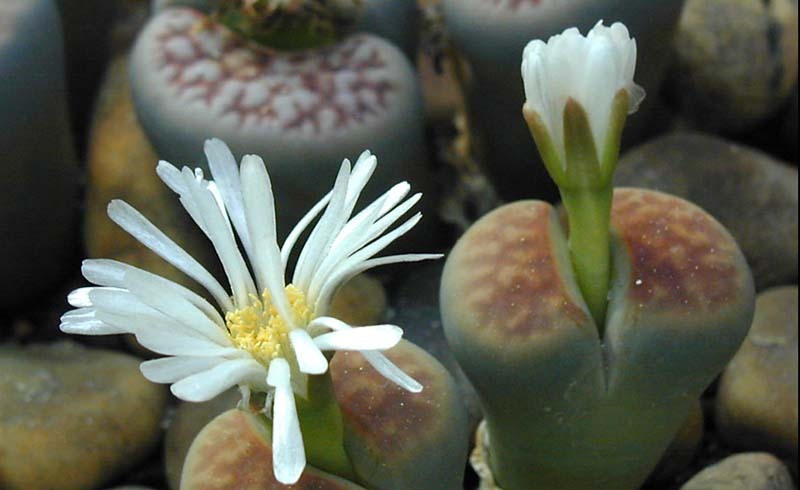 Brown tips on leaves of any kind means your plant isn’t getting the right amount of water. 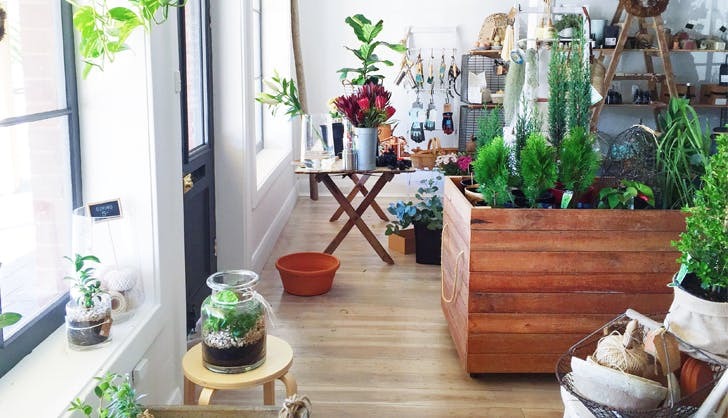 Your home is filled with new green life and you’re officially a crazy plant lady. Give our love to Sheila, Queen B and the rest of the windowsill crew.